Even though the New England Patriots are once again back in the Super Bowl, much to many people’s chagrin, there’s still a lot of excitement over the game. 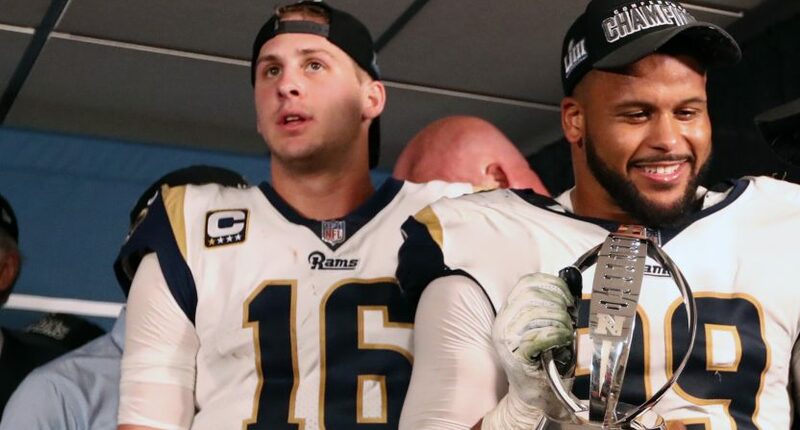 Super Bowl LIII will feature Tom Brady and Bill Belichick, aging stalwarts of the NFL’s greatest dynasty, against Jared Goff and Sean McVay, two very young guys attempting to make their name by overthrowing the old guard. But then again, maybe Jared Goff isn’t involved in the game. Maybe it’s actually his brother (or cousin?) Jason. You’re not hearing things. That’s a WFAN promo for their coverage of the Super Bowl, which will feature “Tom Brady, as he leads his New England Patriots against Jason Goff and the Los Angeles Rams.” Plenty of listeners were left scratching their heads, wondering if Mike Francesa was suddenly writing all the promotional scripts for the station. Adding to the confusion is that there is an actual Jason Goff in the industry. This Goff (unrelated to the quarterback) is a host for Sirius XM and ESPN Radio and also works for Fox 32 in Chicago. He appreciated the shoutout. Things at WFAN can sometimes seem a bit unorthodox. One of their top talents doesn’t have a contract with the station and could potentially leave anytime. That same talent has spent the year throwing a coworker under the bus and flat-out saying the station’s morning show “stinks.” Meanwhile, the station has been involved in a spat with the New York Knicks over comments made by one of their employees. So it’s understandable that they might have their attention elsewhere at times. But, you know, you probably need to get the name of the quarterback in the Super Bowl right in your promos. Just as a baseline suggestion.